Dr. Pendley is a native West Texan and received her undergraduate degree from Texas Tech University. She stayed in Lubbock to attend medical school at Texas Tech University Health Sciences Center, finishing in 2008. Dr. Pendley then moved to Dallas to complete residency training at the University of Texas Southwestern Medical Center, Parkland Hospital. She joined Northlake Ob/Gyn in 2012. Dr. Pendley is board certified and also a member of the Texas Medical Association, the Dallas County Medical Society and a Fellow of the American College of Obstetrics and Gynecology. She is married to Lance, they have a son, Austin and a daughter, Leighton . In her free time, she enjoys reading, traveling, and spending time with friends and family. 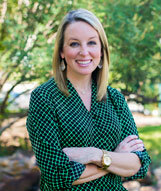 Dr. Pendley is very excited to build a practice in Frisco and form long-lasting relationships with her patients.